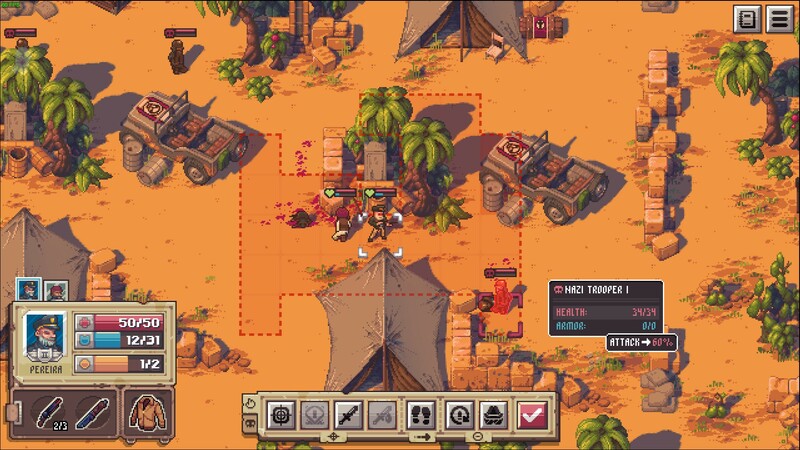 Developed by Robotality (Halfway) and published by Chucklefish (Starbound, Wargroove), Pathway has released today with same-day Linux support. Much like the first ever time I started playing FTL: Faster Than Light, I just didn't want to put Pathway down. It's a very curious mix of a turn-based strategy game with combat not far off what you find in XCOM, blended with FTL-style node-based travel on a world map with encounters at every turn and it works very well. Note: Key provided by the publisher Chucklefish. Every game in Pathway starts the same, with you picking one of five adventures and a cast of varied characters each with their own starting gear, upgrade paths, strength and weaknesses and so on. From there, you get to mess about with what equipment to bring and off you go. The gameplay is mixed between two scenes: a world-map where you pick a node to travel to, deal with any little story encounters, possibly take some risks (sometimes you get extra choices with character abilities) and move onto the next one; the other side is the combat from certain encounters which is done as traditional turn-based tactical battles. What I especially like about Pathway is that each adventure can be slightly tweaked. Finding it too hard? Adjust the sliders for enemy strength and resource supplies to make it a little easier or harder if you're finding it a bit easy. Combat is about what I would expect in such a game. It's a mixture between running for cover, missing an 80% chance to hit and yet it still feels really fun to play. The characters you pick for your adventure can change the outcome with their special skills, their weapon preferences and your starting gear. You're pretty much always outgunned too, although it never felt unfair. Pick weapons wisely, replace them as soon as you find something better and stick to cover. Not just that but the way Pathway deals with failure is also very different to other games. You can fail miserably (and I did many times) but it's not game over in the traditional sense. You can jump right back into a new adventure, complete with the items you collected during your last run. However, your previous team members will be wounded in hospital requiring either money to fix them up or waiting until after you finish your next attempt and success or failure there doesn't matter, as they become available again either way. I also absolutely loved the way the adventure side of it was done, where you might have to make some dangerous choices. A lot of games simply give you some sort of static imagery but that's not the case here. These are animated scenes and the artwork is simply gorgeous. 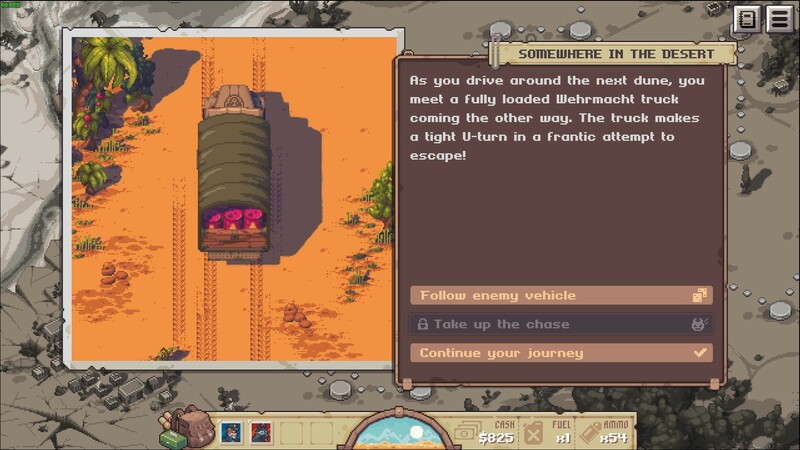 It's a game where I could tell you all sorts of adventures I had, like the time I decided to chase a Nazi truck hoping for some fuel only to end up completely surrounded and the decision to chase the truck ended that adventure. There's also the time I came across a dying Nazi soldier that turned on his own commander, delirious with a serious infected injury they were talking all kinds of wonderful nonsense. During one particularly bad run, I lost a member of my team right near the end and when all hope was lost I found a dog that decided to join me. Since a lot of what happens is randomly generated the experience you have will likely be very different to my own. That can be a good thing though, since not only does it make it fun to play through the same adventure multiple times, it also means we all get to tell a different story about it. The other side of the coin is it means some runs can be a little unforgiving, as you just don't get what you need. As for how the Linux version has been running, well it's basically flawless. Everything I could see worked as expected and I really didn't have a single issue with it. Overall, it's a very fun and rather streamlined mix of genres with some fantastic visuals and great music that I seriously just want to play all day long. Now if you will excuse me, I have some Nazis to take down and some loot to find. If you need me, I will be in the desert somewhere. 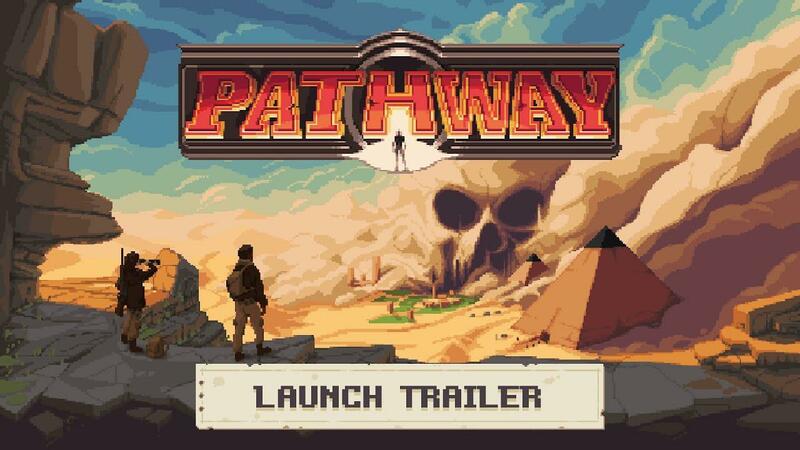 You can grab Pathway on Humble Store, GOG and Steam. 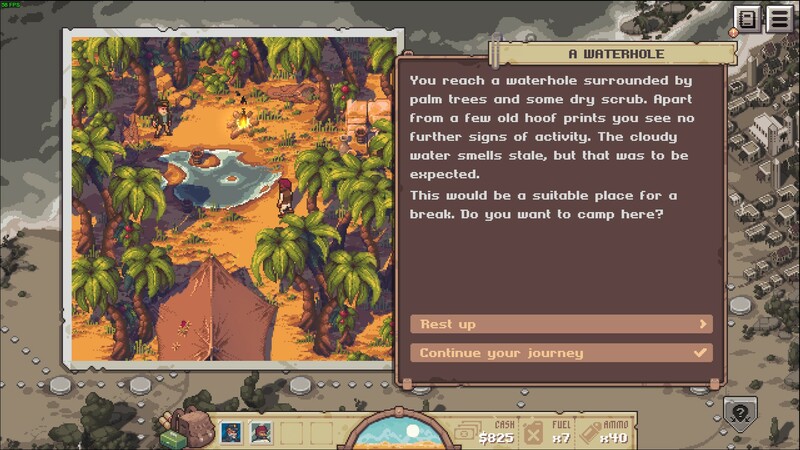 Sounds a lot like Curious Expedition, which was actually an awesome game. Now that I've read your game-play review, my interest is even greater than before. I've been following the game and already wishlisted it. I got the coupon for it, so I yoinked it for myself. Looking forward to playing it, after I finish Wasteland 2. The devs have pushed a fix for the Intel issue to Steam. The game looks really interesting. @Liam: Some negative rewievs mention a repetitive and not so deep gameplay. What's your opinion about this? theghost The game looks really interesting. Depends. 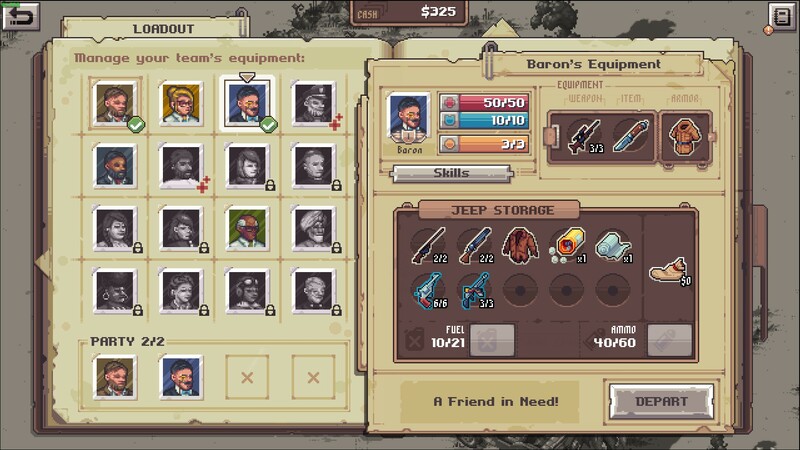 I find tons of games to be repetitive but the key factor is fun, do you find it fun? I find Pathway fun. This one looks really interesting. Nice to see both Linux and GOG release. Wishlisted for now. Haven't played much. But what I've seen so far I really like. The pixel art simply is beautiful. I love it! Combat definitely feels better compared to Halfway. Already lost a character on my first go. But at the end of that particular fight I got a new companion- a wild dog. Don't know if that was due to the lost character or not, but it really is a nice touch.